Embedding can be easy and very successful as well as encouraging to children and their learning. Our classes favourite would be Voicethread and designing their own games from Classtools. 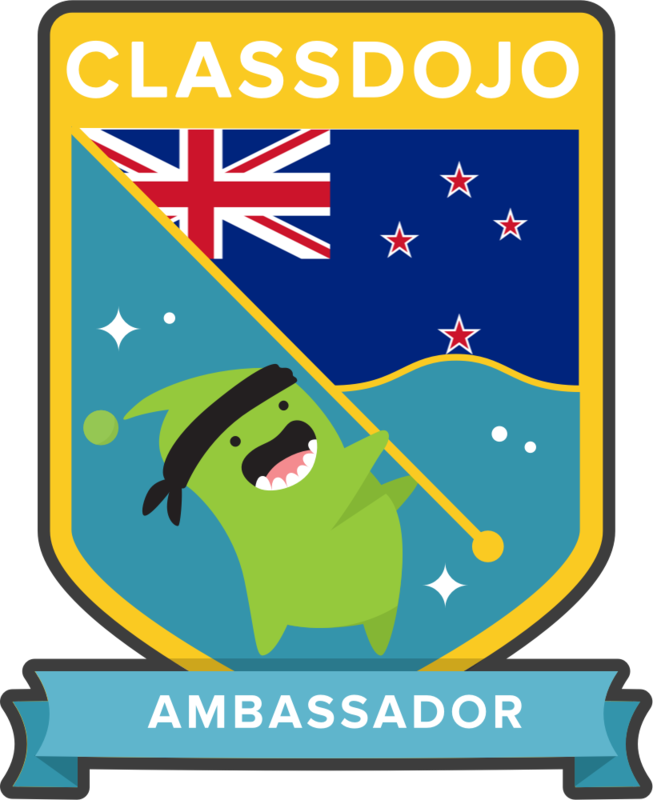 My class blog with heaps of embed examples. Voicethread - a super easy web app that you can add images to and add voices using inbuilt microphones, Also a fabulous tool for collaborating with classes from other countries. Here is an example from two ESOL ch'n related to a book they had read - Octopus. Here are two examples of a collaborative voicethread - teaching a class in USA about Maoris - Maori words and Maori numbers. 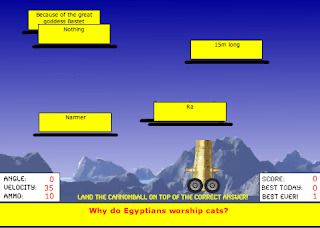 Another of our class favourites is using Classtools - where they can create their own games. It can be tricky adding finding the code..we discovered the best way was to create our quizzes was to write the quiz in pages or word first and then use Firefox browser to create the game. Ch'n can create a huge variety of arcade games for classmates to play. 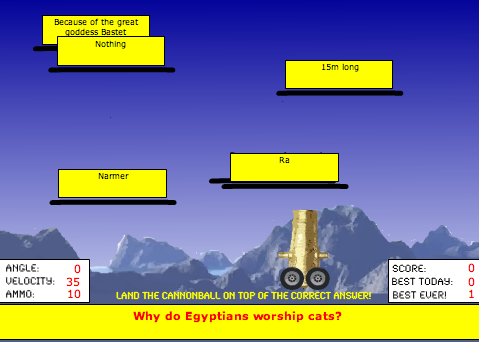 Here is an example Egyptian quiz game created by 9 year olds. Answer Garden is another favourite - we used it to brainstorm after an immersion activity on Egypt. It can be used in a mass of different ways and is easy to use and versatile. Teachers can use it too! I have used Survey Monkey with classes before to collect and collate statistical data, however a great bunch of peeps seem to be using Poll Daddy so here goes with my first one! Love the ability to re-edit once finished and re-embed. Cool Tool! Thank you for taking my survey! I took yours too! I like all the information you have posted on different tools. I tried Voice thread and wasn't that crazy about it, because it came up small on my blog when I embedded it. Maybe I should try again. Also, I am a little shy about talking and recording my voice! Love your style! And thanks for all the ideas that you have tossed out for me to explore--it should keep me busy for a while. I'm still relatively new to the tech side of things, so I have plenty to learn. If you would like to see my entries, I'm at Book Frontiers—Movin’ and Groovin’. Nancy - I usually only get the children to record their voices, I rarely do for much the same reason as yourself. It's also possible to write words instead like speech bubbles or draw on it. You should be able to alter the size of the voicethread changing the width/height in the embed code. Lydia - thanks for the feedback off to look at yours now!